Situated in downtown Fort Worth, across from Sundance Square and the Fort Worth Convention Center, the Hilton Fort Worth hotel is conveniently near many cultural and historic attractions. Within two miles of the historic hotel, visitors will encounter several first-rate art museums, the famous Fort Worth Stockyards, and more. Amon Carter exhibits art from the President’s suite at the Hotel Texas during his visit in 1963. Located directly across from Hilton Fort Worth, this tribute celebrates the 50th Anniversary of where President John F. Kennedy gave his final public address to an adoring Fort Worth crowd. For dining or entertainment, this outdoor plaza offers great restaurants, shopping, events, and is within walking distance from the hotel. 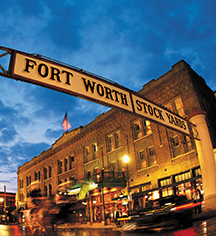 A legendary Fort Worth attraction, the Stockyards is a history book of the livestock industry in Texas. 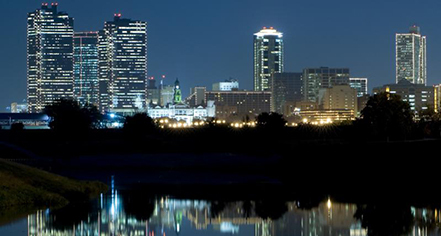 Just minutes from the downtown Fort Worth hotel, the Cultural District features art masterpieces, exotic science, and cultural exhibits, exciting performance art theaters and the beloved Will Rogers Memorial Center.